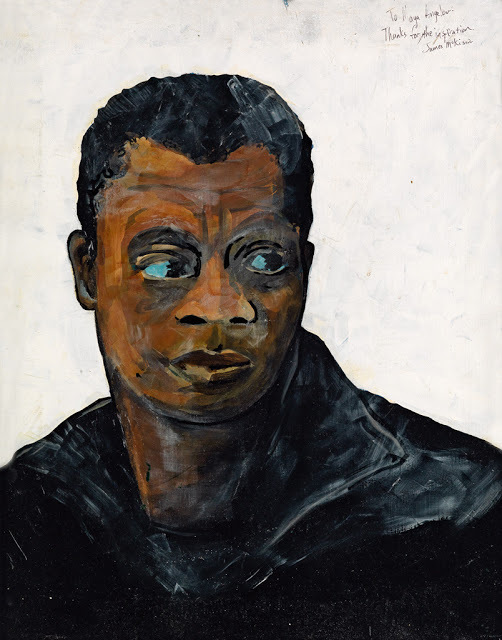 Swann saw a standing-room only auction yesterday for The Art Collection of Maya Angelou, and bidding was competitive the whole way through this short but intensely exciting sale. 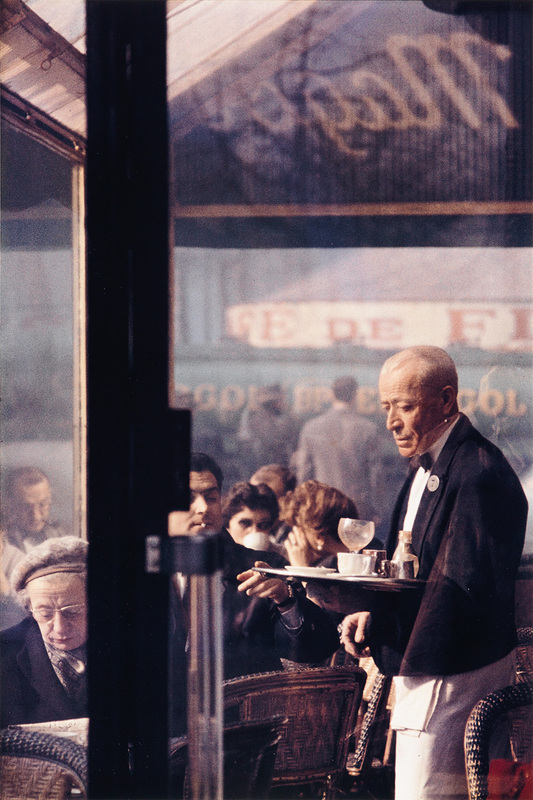 The sale doubled its pre-sale estimate with a 98% sell-through rate and at least eight artist records. Faith Ringgold, Maya’s Quilt of Life, acrylic on canvas and painted, dyed pieced fabrics, 1989. Sold September 15, 2015 for $461,000. 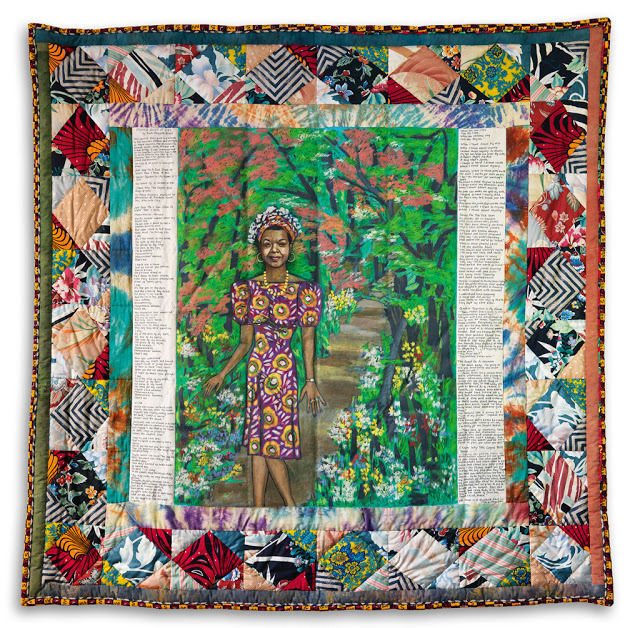 The top lot, Faith Ringgold’s quintessential story quilt Maya’s Quilt of Life, a birthday gift commissioned by Oprah Winfrey, went for an astounding $461,000–nearly doubling its own pre-sale estimate and setting a record for the artist at auction. 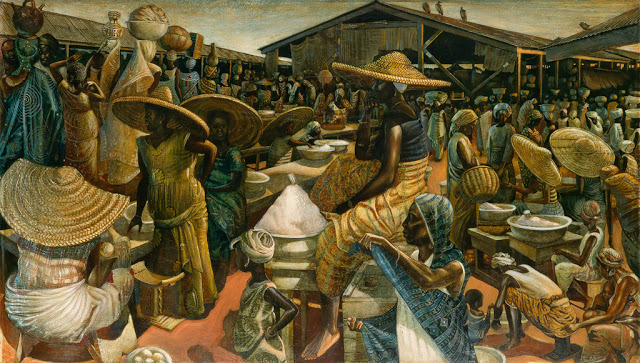 John Biggers, Kumasi Market, oil and acrylic on masonite board, 1962. Sold September 15, 2015 for $389,000. This elegant, large panorama, Kumasi Market by John Biggers, also set a record for the artist at auction at $389,000, well over twice its pre-sale estimate. 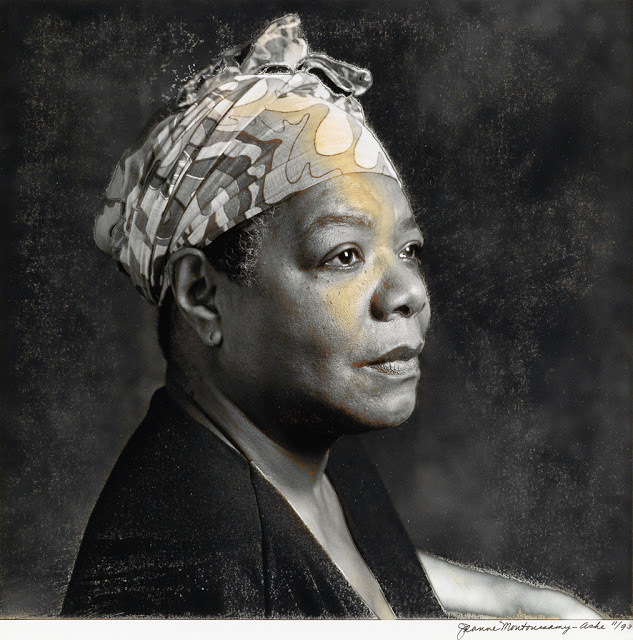 Jeanne Moutoussamy-Ashe, Maya Angelou, silver print with hand coloring, 1993. Sold September 15, 2015 for $17,500. 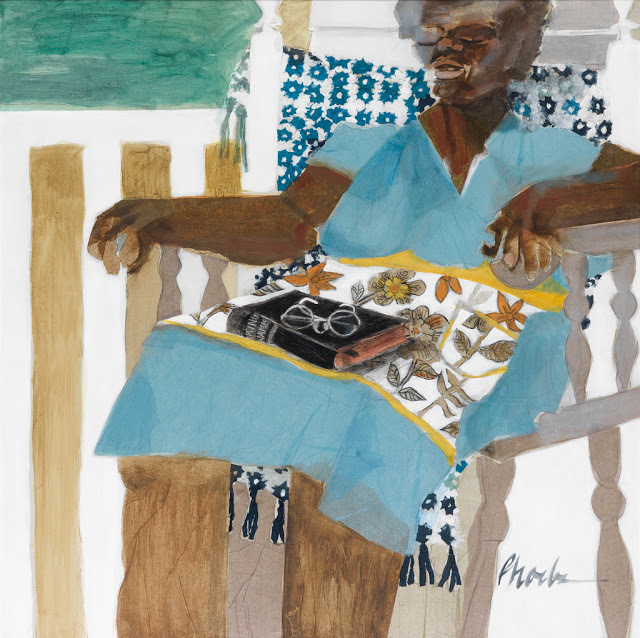 Jeanne Moutoussamy-Ashe’s photographic portrait of Dr. Angelou sold to the Muscarelle Museum of Art at The College of William & Mary for over 10 times its pre-sale estimate at $17,500. 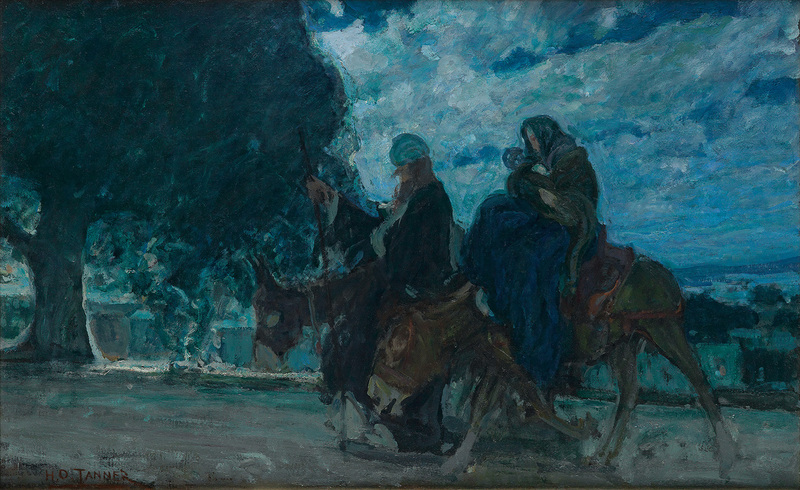 This also set an auction record for the artist. 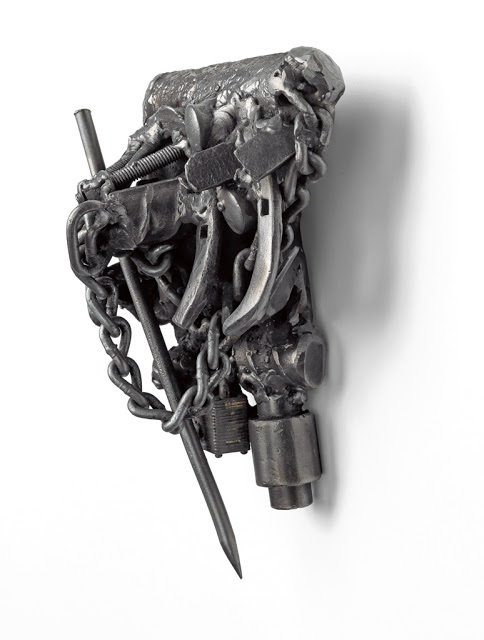 Melvin Edwards, OWWA Maya, welded steel, 2011. Sold September 15, 2015 for $40,000. Melvin Edwards welded steel sculpture, presented to Dr. Angelou at the 20th anniversary meeting of the Organization of Women Writers of Africa (OWWA), sold for $40,000, a record for Edwards at auction. 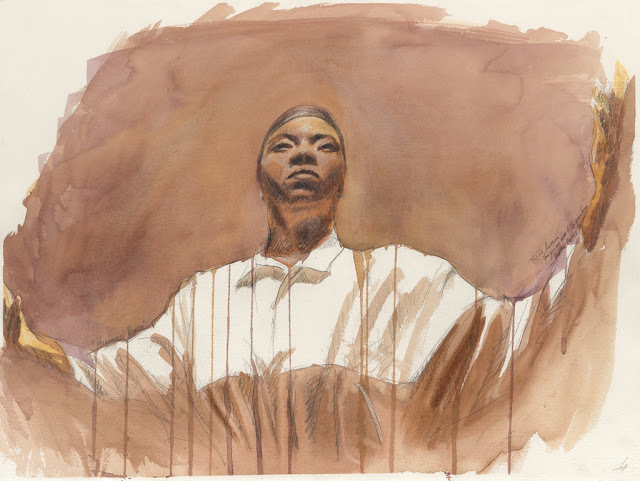 Alonzo Adams, Phenomenal Woman, watercolor and pencil, 1993. Sold September 15, 2015 for $10,000. 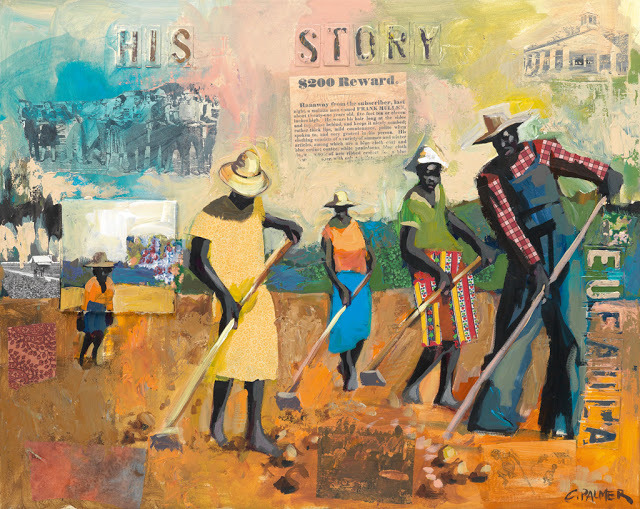 James McKissic, Jimmy’s Blues, oil on canvas, 2002. Sold September 15, 2015 for $9,375. Charly “Carlos” Palmer, His Story, acrylic and collage on canvas, circa 2008. Sold September 15, 2015 for $7,500. The acrylic collage His Story by Charly “Carlos” Palmer, which sold for $7,500, also set a record for the artist at auction. Phoebe Beasley, Catnap, mixed media collage, 1980. Sold September 15, 2015 for $11,875. Results for the entire collection can be found here.